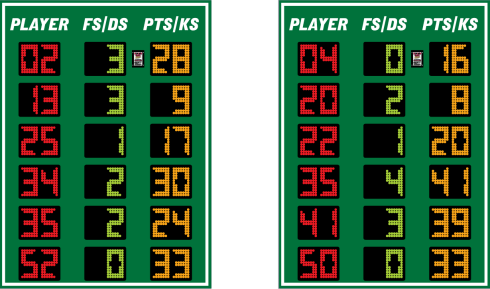 This is the standalone version of the multi-sport stat panels included with our LX2576 and LX2556 scoreboards. They operate as a separate system from the main scoreboard using a dedicated control console. You can track Points and Fouls in basketball or Digs and Kills in volleyball. The system can work using our standard wiring solutions, or you may operate these displays wirelessly using the reliable ScoreLink system for transmitting and receiving data.